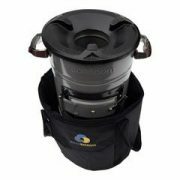 Conveniently carries your stove, along with small accessories or lighting material. 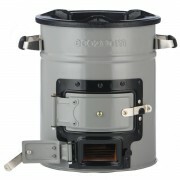 It fits a Versa or a Dura stove, along with the potskirt. 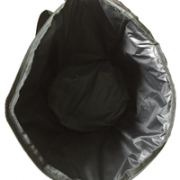 Made of strong and durable material. 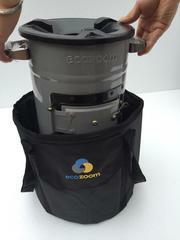 It can be used in all types of weather. 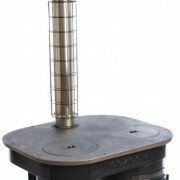 Size: height 32cm, diameter 29cm. 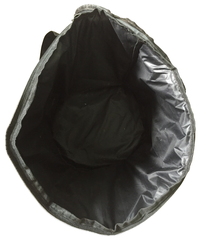 Materials: 36% oxford cloth outside, 32% flame retardant cloth inside, 32% dense foam liner. Water resistant to high level. 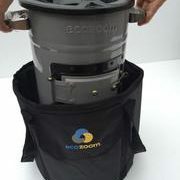 The EcoZoom carrier bag enables you to easily transport your stove anywhere you go, along with fuel supplies and firefighters. 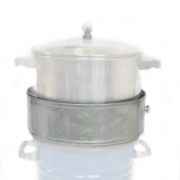 It keeps your stove protected from scratches and bumps and protects other surfaces from getting bumped too. 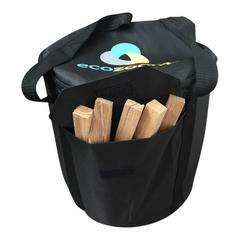 Dense closed cell (sleeping mat) type foam forms the inner fill of the bag giving good shock resistance and the handles makes it even easier to carry the stove for you and your family. Use the different compartment to dry-store anything you like – kindling, matches, firelighters – always be ready to light up a fire anyplace, anytime. 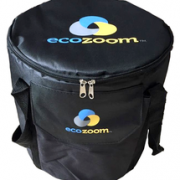 Get more organised and keep everything in one place. 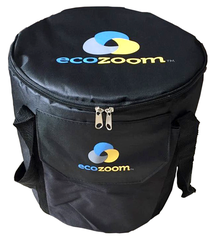 This is a high quality and durable accessory – put your love in a bag with our Ecozoom Stove bag!